I’ve got something very exciting to show you! My husband bought me this amazing skein of yarn for Christmas and it is just yarn perfection to me. My most favouritist colours are rainbow (obviously) and blue tones making this everything I look for in a colour combination. 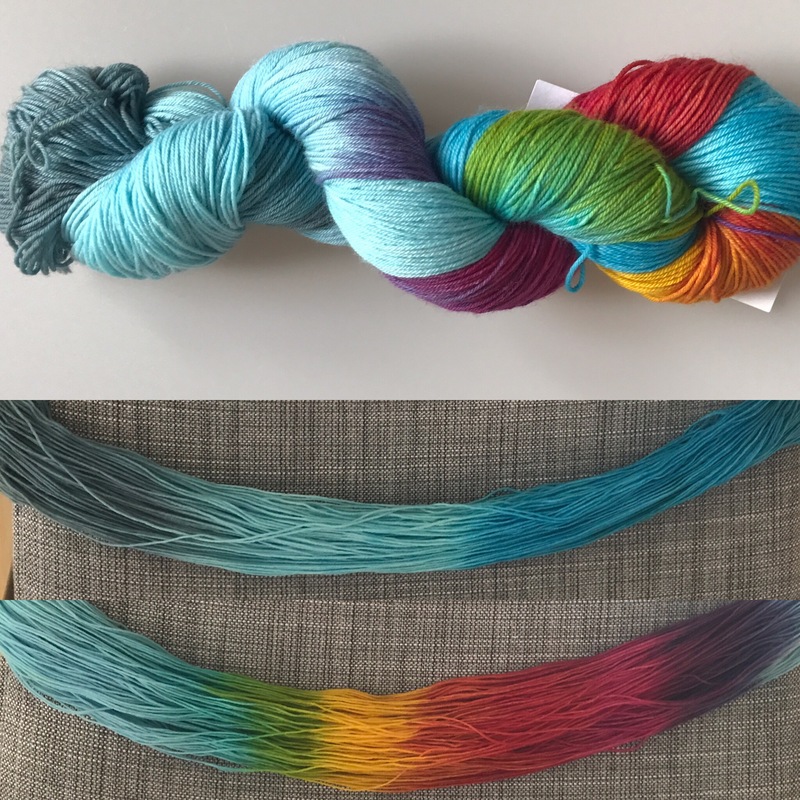 It’s a soft and squishy merino nylon blend and was hand dyed by my lovely and extremely talented friend Sarah at Arwen Makes. 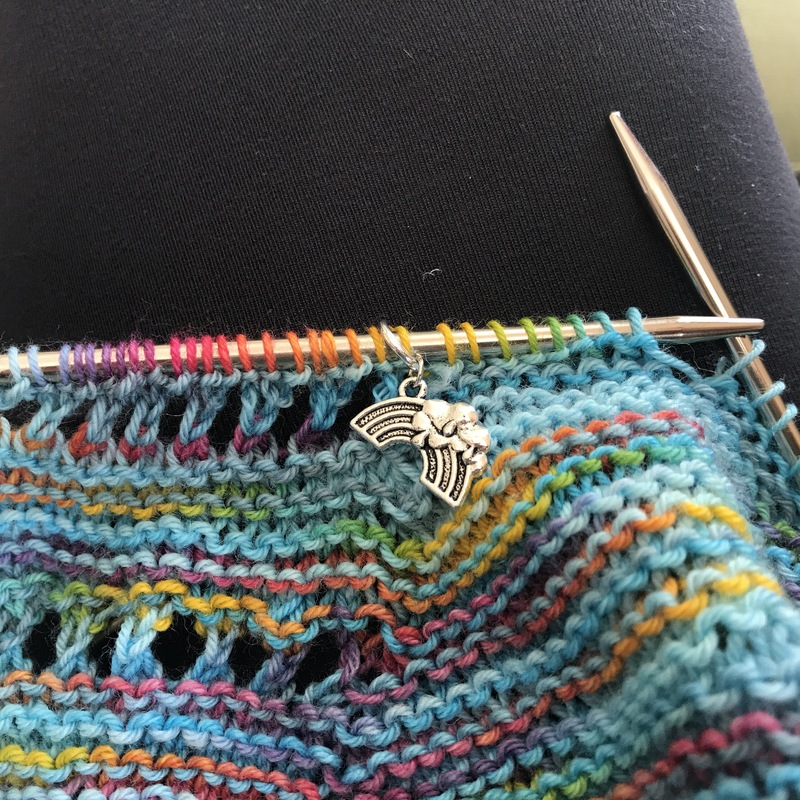 The yarn colour is called Whatever the Weather and it came with a set of weather themed stitch markers. 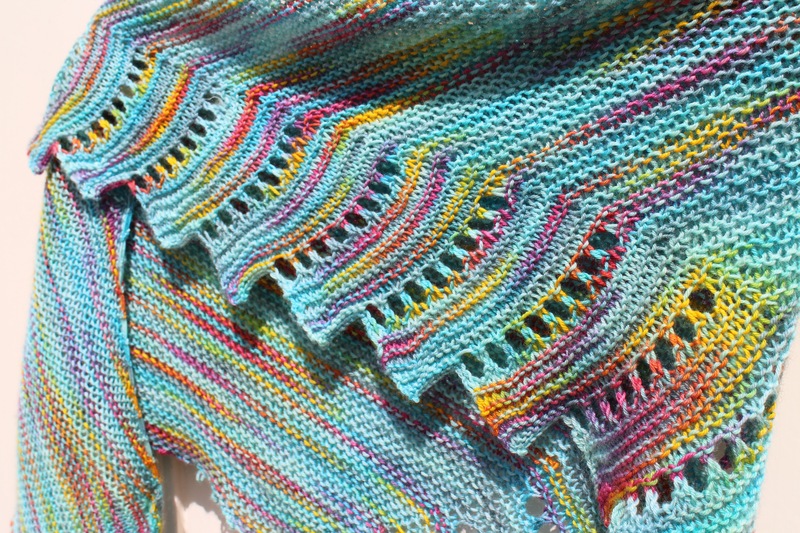 Seeing this little rainbow in between the rainbow of stitches on the needles makes me smile. The yarn sat on my desk (pictured here in Weekly Photo – Happy) brightening my world while I spent a lot of time working on my Spice of Life blanket but with that all wrapped up it was time to knit it. 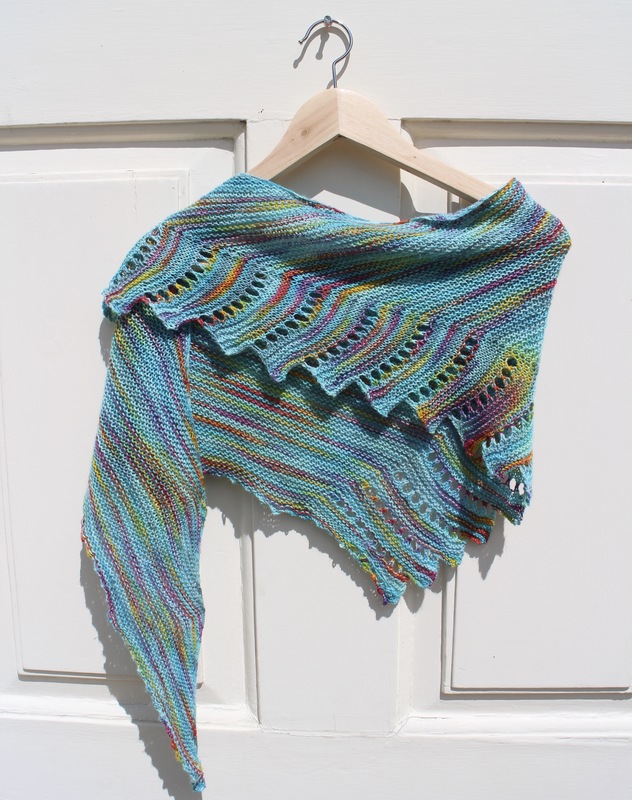 I chose to make a shawl with the yarn and picked the free pattern Close to You by Justyna Lorkowska. I really enjoyed working this pattern. Lots of knit stitches and minimal counting made it perfect for sitting in front of the TV or watching my children play and the zig zag eyelet border adds a bit of interest. I will probably knit it again. I love the way it turned out. This yarn suits this pattern perfectly with the rainbows spreading from the edges and I’m really looking forward to the cooler days of autumn so that I can wear it all the time.